“Consecrate yourselves, keep your hearts pure and your hands clean. Cling to my presence and cast off every care. I Am staking My claim and coming to My church like never before. As I spoke to Moses and Joshua so I speak to you: Do all that I command you to do and you will have great success. Commit yourselves to Me and allow Me to create a new culture of covenant within My church. Be consumed with compassion and commit to My great commission and I will cause nations to be converted as I have promised. Stay connected to a steady stream of the Holy Spirit and become conduits of My power”. For years, we've prayed for a great wave from God to overtake us and our communities. I believe that the wave is upon us. But waves come in sets: this is not really the first wave, though this one is greater than some that have come recently. In the natural, waves bring both refreshing and destruction with them, and this wave is bringing both. We're facing some very large stuff coming at us, like a very large wave bearing down on us. If such a wave caught us unawares, it would kill, and easily. But to those who are both aware and skilled, it is not even particularly dangerous; though it is certainly exciting. The surfer will actually dive into the wave, without even leaving his surfboard. He may close his eyes, he may not, but he won't be able to see what's going on around him, over his head, until he comes out the other side. If we turn our back to the trials bearing down on us - and we have been able to get away with that response before, with smaller trials - then we will die. Our friends will gather in our memory, and they will go on without us. Frankly, I expect that if you care enough to read this, to take this seriously, you are not among this group. If we see nothing but the trial that is threatening us, we will also not survive. We will not overcome the trial; our friends will drag our body to the beach, wear black in our honor, and move on with the things set before them. Let's not be among this group either. It is only by knowing the truth: knowing - trusting - that there is another side to this trial, and pressing through it, not unaware of the trial, but not focused on it either: this is how we survive, this is how we will get to the place where we can surf on the trials! The transition may be tumultuous, we may be tossed and churned, but we will come out the other side! Frankly, these waves cannot be surfed alone. If we are alone, we may survive this trial, and we may survive the next one, but we need the eyes and ears of our fellow surfers: we need the wisdom and encouragement of the fellowship of the saints, and a big, anonymous gathering probably isn't going to provide it. Not everyone is facing the waves right now. In a surfing community, nobody is allowed to face the big waves until they are well proven to have the strength, the skills, the awareness to overcome the wave. 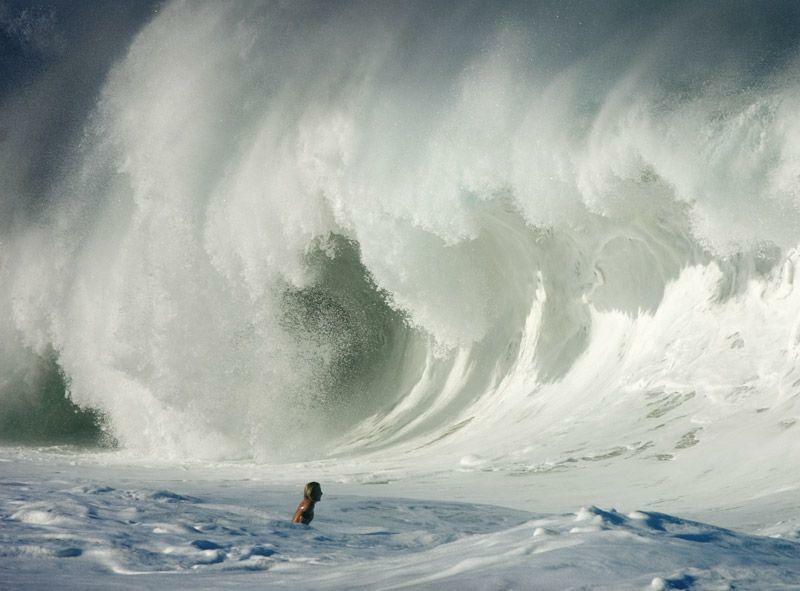 Those who are facing a wave: it’s because the King has judged you to be an overcomer. But have patience with those around you who aren’t facing their own waves. Once we're beyond this trial, there will likely be another wave beyond it, which we must also press through, press forward in spite of. But soon we will come to the place that the waves are forming, where we will stand up on our board, and ride the wave. In that day, we will see the promises that we've longed for and prayed for Lo! these many years. That day is coming. But one thing I do: Forgetting what is behind and straining toward what is ahead, I press on toward the goal to win the prize for which God has called me heavenward in Christ Jesus. All of us, then, who are mature should take such a view of things. This is our day. The cloud of witnesses is watching us. How will we respond?